Posts tagged "3 tips for running a home based business"
I have been a business owner for over 5 years. In fact I have owned 6 different businesses over the past 10 years. All of them were/are home based businesses, and while that is a wonderful thing, it is also very difficult because no one will tell you when to do things or how to do things and you have to be able to manage your time wisely. Using your time wisely is important because some people don’t work enough. They don’t plan well or prioritize well, and spend too much time planning or thinking and not enough time doing. For others the exact opposite is true and they can’t ever turn off their business. It consumes their time and they don’t unplug to do things that are self care. This is a lesson that Marty Stallone has learned. He is a successful Land Development Vice President. I have been on both sides of the spectrum and have learned a LOT of things over the years. so I want to offer you 3 tips on how to run a successful home based business. 1) Keep a list of things you want to accomplish each day. This is very important for me, because sometimes your day is spent putting out fires and you may get to the end of the day and think nothing got done and in fact the things you WANTED to do may not have gotten done, but you need to be able to feel as though your day was spent doing something. So I make a list of the things I want to accomplish each day and also I write down the things I did get done because those might be two very different lists. I like to use the Pomodoro technique. The technique works by getting you to structure your work in 25-minute sessions, each separated by a short break. The method is remarkably simple. 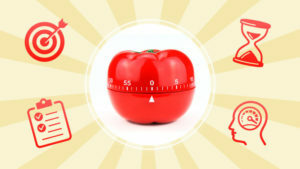 Each 25-minute session is one “pomodoro.” When you complete one, take a five-minute break before embarking on the next. When you have completed four “pomodori,” take a longer break to rest and recharge. At first, it might seem counter-intuitive to take so many breaks throughout the day. But research shows that this can actually enhance your focus when you return to the task you’re working on. Your first step is to check your schedule and think about what you need to do. Estimate how long each task should take you, in terms of the number of pomodori (25-minute sessions) you will need to complete it. Also schedule in time for your breaks: five minutes for each session completed, plus a longer 20- to 30-minute break at a natural stopping point. Before you start, make sure that you have everything you need to begin on your tasks. Set your timer for the work period you’ve settled on. You can use whatever sort of timer you like. A traditional kitchen timer or one on your phone is ideal for working from home. Devote all of your attention to the task at hand for the duration of the session. Don’t allow yourself to become distracted if ideas or thoughts about other tasks pop into your head. Write these down and then set them aside. You can adjust your schedule to work on them in the next session. If you complete your work before your time is up, use the remaining time for routine activities, or for other short tasks. When your timer goes off, take a five-minute break. You should do this even if you’re “in the flow” because these breaks are your time to rest and “recharge your batteries.” You may worry that interrupting your work for a break loses time, but regular breaks will restore your energy and improve your productivity to levels that more than make up for any lost time. The Pomodoro approach works by maintaining your energy, so that you don’t need to waste time working on tasks when your concentration levels are low. For maximum benefit, use your breaks to get away from your desk. Move around, take a walk, stretch. When your break is over, reset your timer for the next session and continue your work. When you’ve completed four pomodori, take a 20- to 30-minute break. 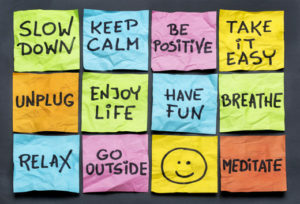 Use it to go for a walk, eat a healthy snack, have lunch, read a book… anything, so long as it takes you away from your desk for a while and clears your mind of what you were doing before. Remember, the important thing here is to replenish your energy levels. It is important to listen to your body. If your mind starts to wander or you start to feel tired, don’t push through to the end of the session. You might want to experiment with this. It may be that three pomodori followed by a 20-minute break suits you best, or that five sessions followed by a 30-minute break is better. Turn OFF! Turn off your phone. Turn off your computer. Unplug. Enjoy time with friends and family. See a movie, play with your kids, go to the park, get a massage or a facial, or just go for a walk. Take care of yourself so you can take care of your business.